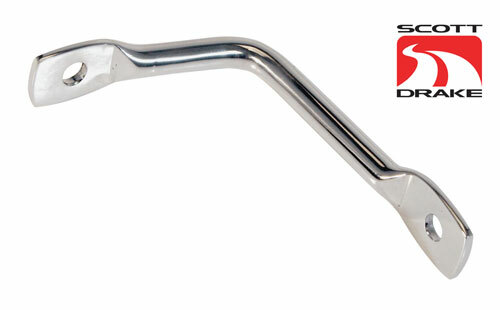 1967-68 Hood Latch Catch Bar Striker made from Stainless Steel and polished to a Chrome-like finish. Made by Scott Drake this Stainless Steel Hood Latch Striker replaces the old, original steel striker. Made from polished stainless steel for a great look and long life!